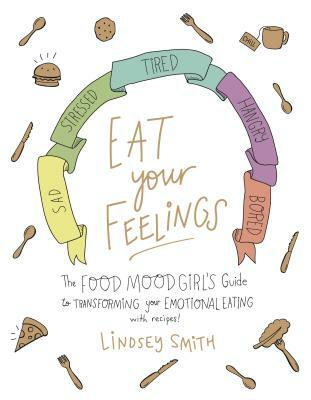 Lindsey Smith, aka: The Food Mood Girl, is a Pittsburgh-based author, health coach, and speaker nationally recognized for her work. Best known for her books Junk Foods & Junk Moods and Food Guilt No More, Lindsey has reached thousands of people looking to enhance their mood, decrease their anxiety and learn to love themselves just a little more. As a TEDx speaker, Lindsey has been featured both on-stage and in the media nationwide. She’s been featured on the Zagat documentary Hangry, the Lisa Oz Show, MindBodyGreen, CBS News, and in Girl’s Life Magazine, and is a regular media fixture for Today Show Food and Huffington Post. Lindsey's passion sparked after she was diagnosed with anxiety as a kid. Through navigating her diagnosis, Lindsey learned the role foods play in impacting our moods and how self-love was a major missing ingredient. By ninth grade, Lindsey was teaching stress management classes to her peers. As a health coach and culinary expert, Lindsey believes a well-balanced life involves eating your veggies and occasionally indulging in that double chocolate brownie. When not helping others, Lindsey is typically spending time in her hometown with her husband and dog, Winnie Cooper. If she isn’t spotted at a local coffee shop or Pilates studio, then chances are she’s listening to or writing a rap, or cooking up a new recipe.